Now in its 58th season, this racing series can be traced back to 1954, when NASCAR began sanctioning the Late Model circuit. Through its years, the NASCAR K&N Pro Series has had several titles. 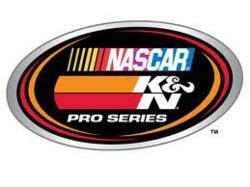 In addition to being known as the Grand Nationals, the Winston Grand Nationals, and the NASCAR Winston Series, in 2003, it merged with the Busch Series and together they now comprise what is known as the NASCAR K&N Pro Series. Champion draws on the success of its racing roots in producing a line of engine motor oils designed for high performance racing applications and are available in numerous synthetic blends and full synthetic viscosities.